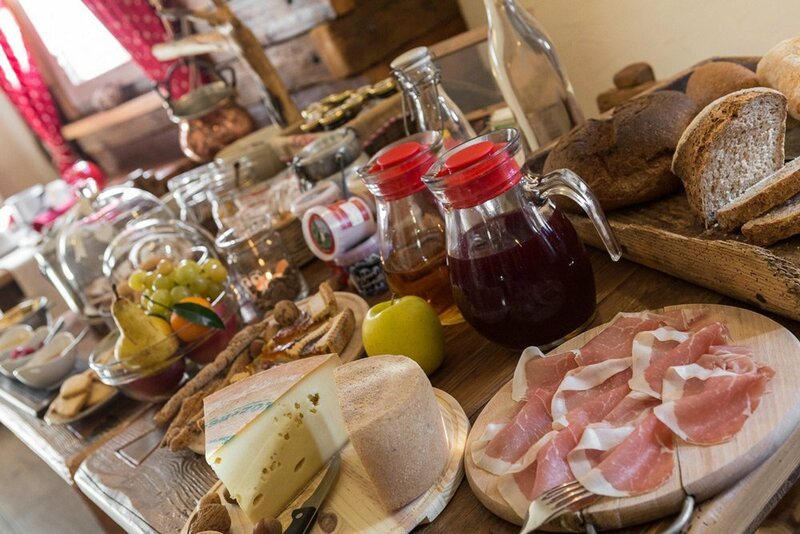 At breakfast, at the “aperitif” and at dinner, you can enjoy the genuineness of the products of our valley. 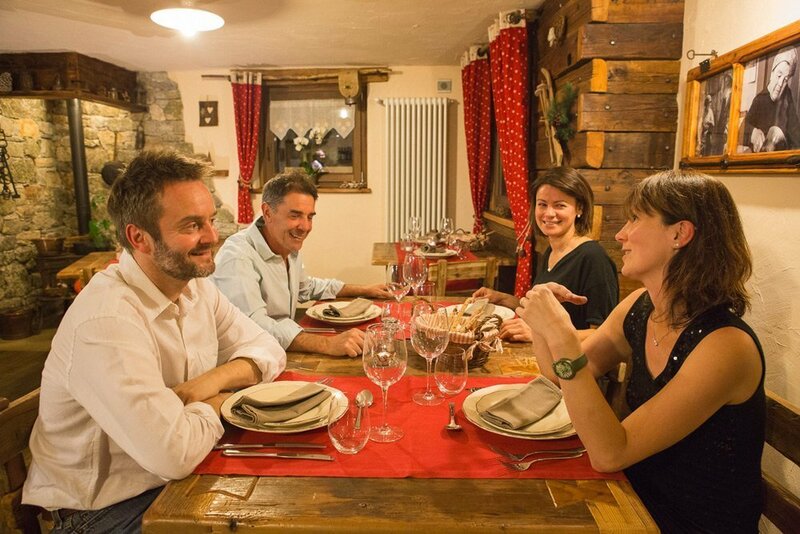 We are focused on the selection of the food and wine, privileging the firms that work in our area. 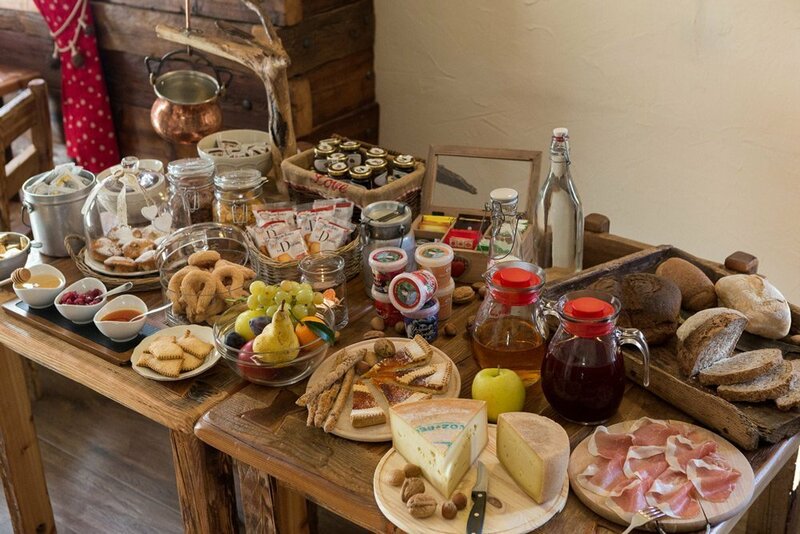 Enjoy a delicious breakfast in the cozy dining room, outdoors or in your room. 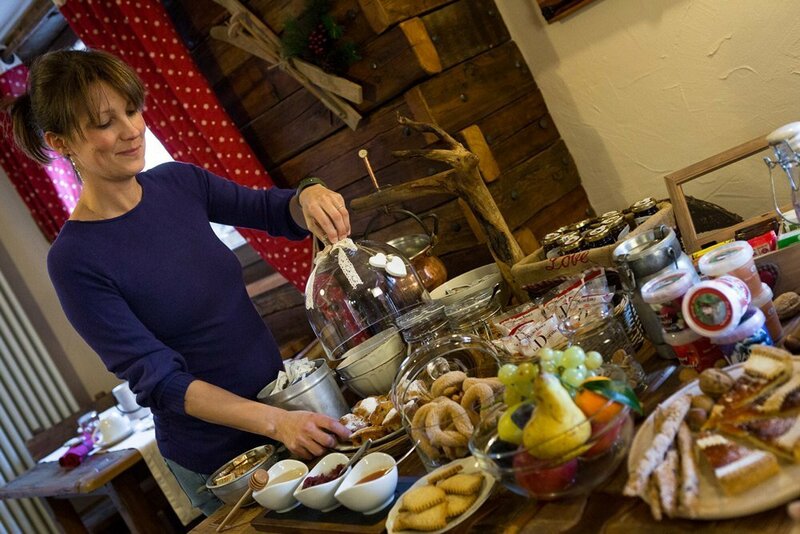 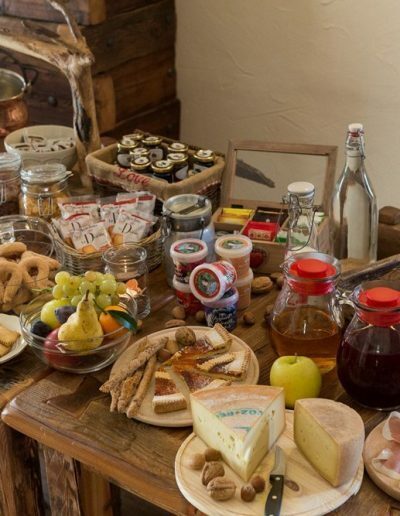 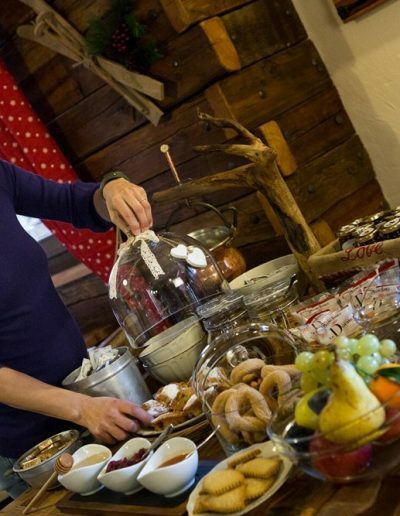 Begin the day in the right way with genuine, home-made products: we offer a sweet and savoury buffet breakfast. 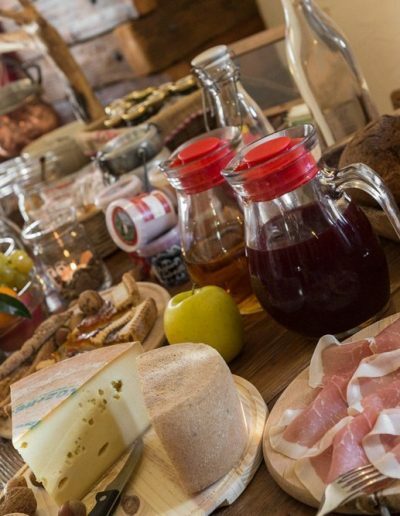 From home-made cakes, jams, local yoghurt and Valdostan juices to Fontina cheese, produced by the neighbour’s company, jambon de Bosses and fresh bread. 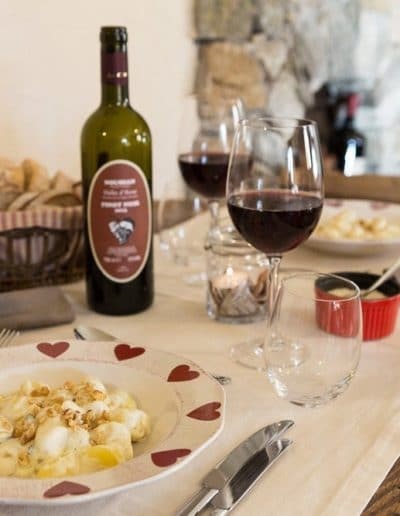 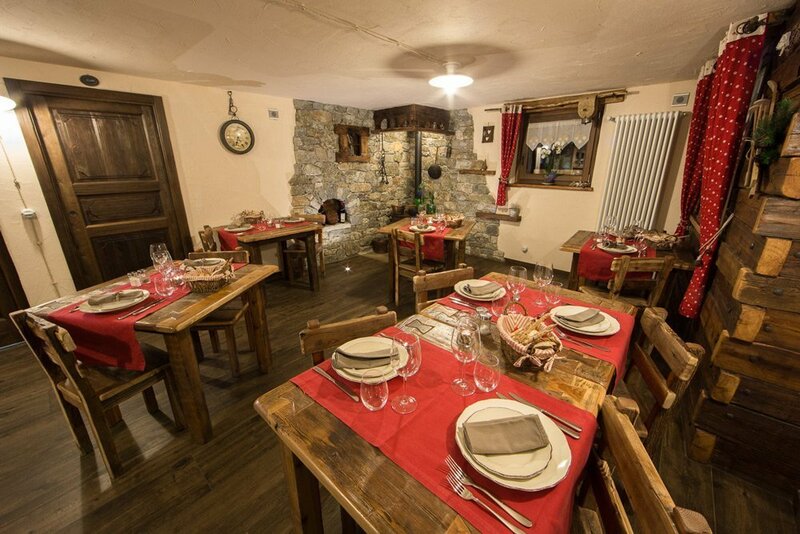 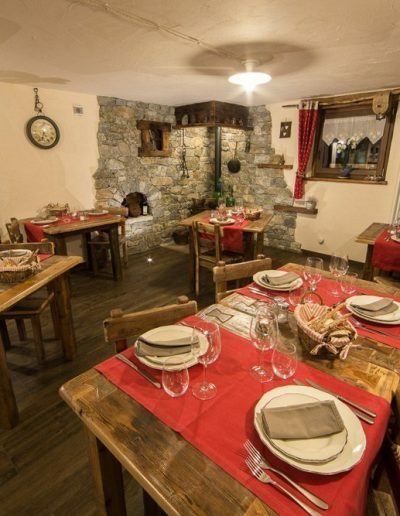 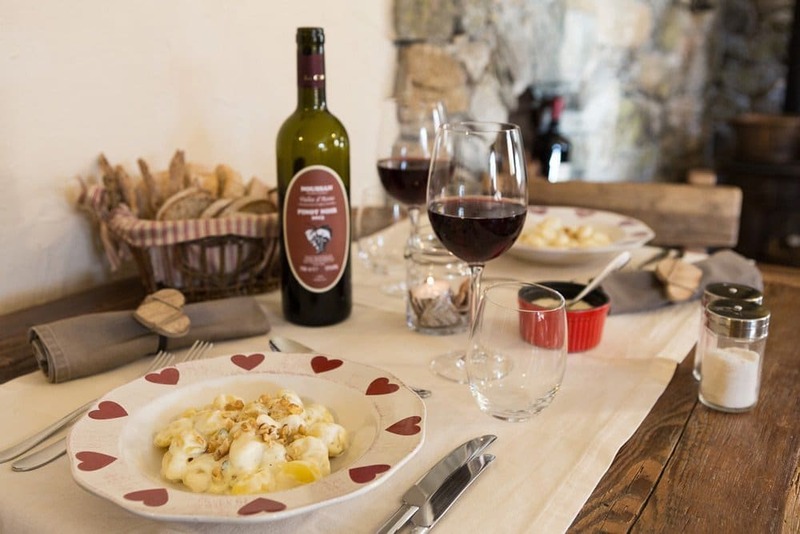 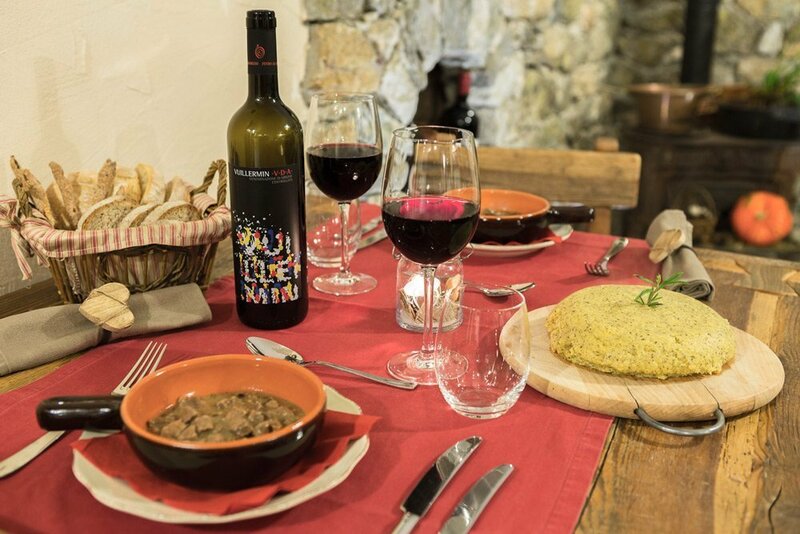 Typical Valdostan cuisine, rich in traditional dishes prepared utilizing products with zero food miles and paired with typical Valdostan wines. 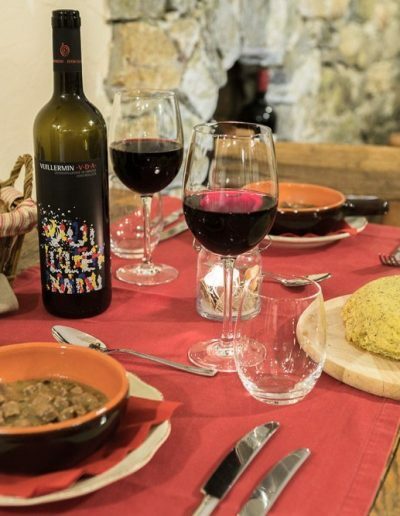 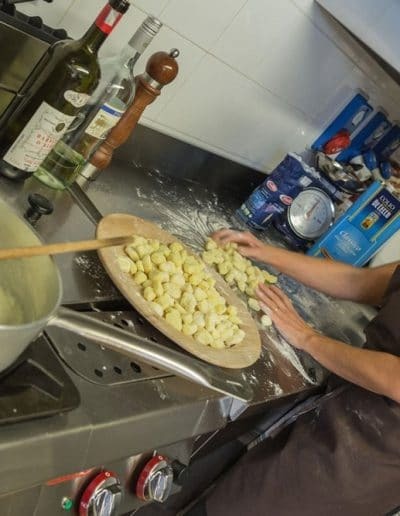 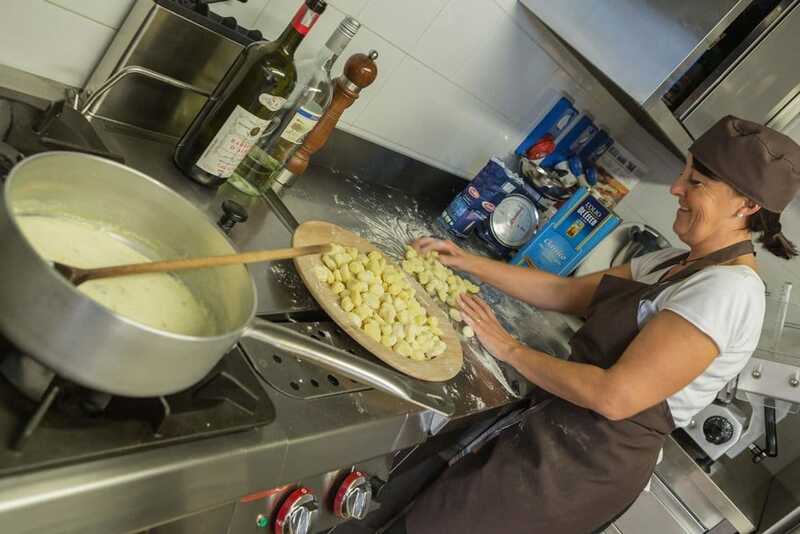 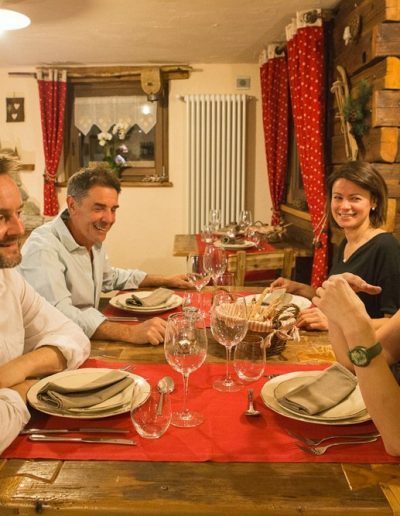 We will enjoy your tastes with themed dinners and tastings, rediscovering the history of a quality agriculture,made of small family-run companies of our village.